Drag racing has come a long way since its beginnings in the USA during the late 1940’s. And although it had a culture of straight-line sprinting (runs against the clock rather than a knock out competition) dating back to the early 1900’s, Europe had to wait until early in 1961 before it saw its first dragster. 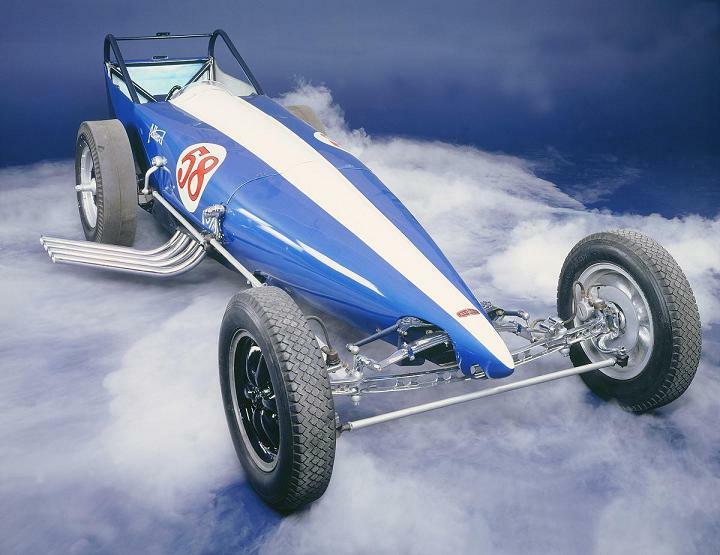 It was born when British sports car manufacturer Sydney Allard stormed into the office, slammed a copy of a Hot Rod publication featuring Chris Karamesines’ Chizler dragster onto the table and announced, “We’re going to build one of these”. There were no official drag racing regulations in existence in Europe at the time. Royal Automobile Club building regulations for cars used for sprinting and hill-climbing had to be followed and these were pretty general to cover a range of competitive disciplines. They would severely limit the potential of Sydney’s first attempt, the new Allard Chrysler dragster having to have front brakes, covered moving parts plus front suspension. Work on a 354 cubic inch Chrysler Hemi engine commenced in his London workshop during 1960 and speed equipment was ordered from Dean Moon in the USA. He decided on a front mounted blower rather than top mounted as on the Chizler because with covered moving parts it enabled better streamlining. And in truth, initially the car was seen as a way of putting a bit of ‘jazz’ into sprinting (which was suffering a bit of a decline at the time) rather than bringing the American sport of drag racing to the UK. The car was first shown at Brands Hatch in the Spring of 1961. It was without its bodywork and although the car was not run on the track the blown and injected Chrysler Hemi V8 engine was fired up. Britain heard its first American styled dragster. 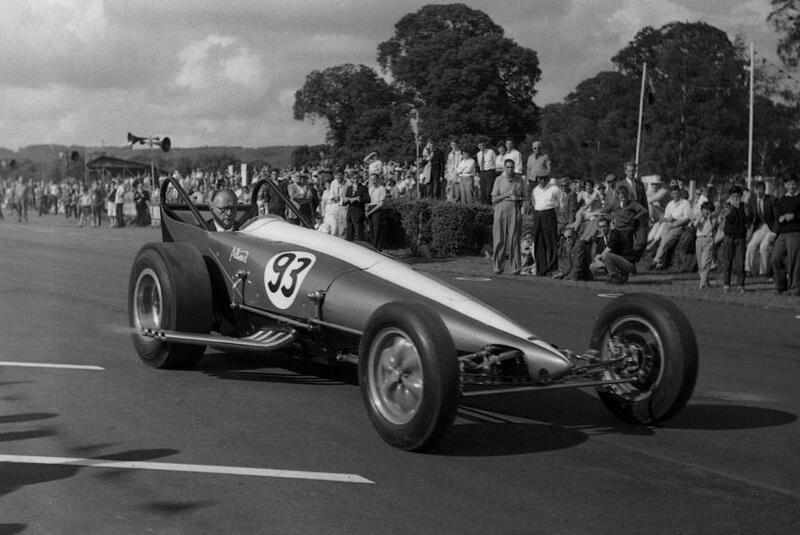 Sydney held a ‘live’ press demonstration of the car on the old Club Straight at Silverstone, but the first appearance of the dragster in front of the public was at the long established Brighton Speed Trials in 1961 (the first of these events was held in 1905). During the rest of the year and through 1962 its ‘art-deco’ styled body could be seen at sprint meetings and shows throughout the UK, putting down mid 10-second standing start quarter mile times with estimated terminal speeds of around 150 mph. The fuel used was methanol with a small percentage of acetone. In July 1963 Sydney received a telephone call from a speed shop operator and drag racer in Las Vegas called Dante Van Dusen. 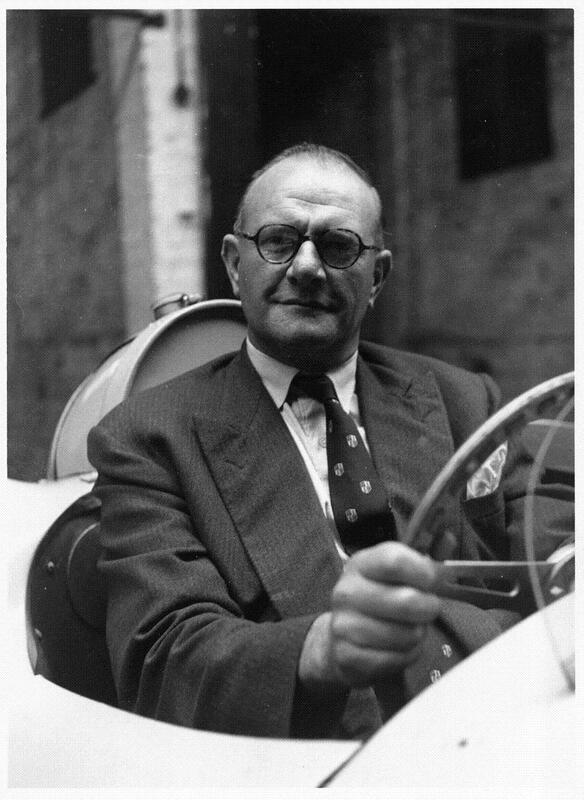 Duce, as he preferred to be called, issued a challenge that he could beat the Allard Chrysler and Sydney accepted. Duce mentioned the project to one of his speed shop suppliers Dean Moon and Dean offered to provide his 600 bhp 350 cubic inch Chevrolet V8 engined Mooneyes gas dragster for the trip. Moon mentioned the upcoming match race at a meeting of the recently formed Speed Equipment Manufacturers Association (SEMA) and they put up a trophy for the winner – the SEMA Trophy. Mickey Thompson was at that SEMA meeting and he immediately made plans to join the party as an uninvited guest. 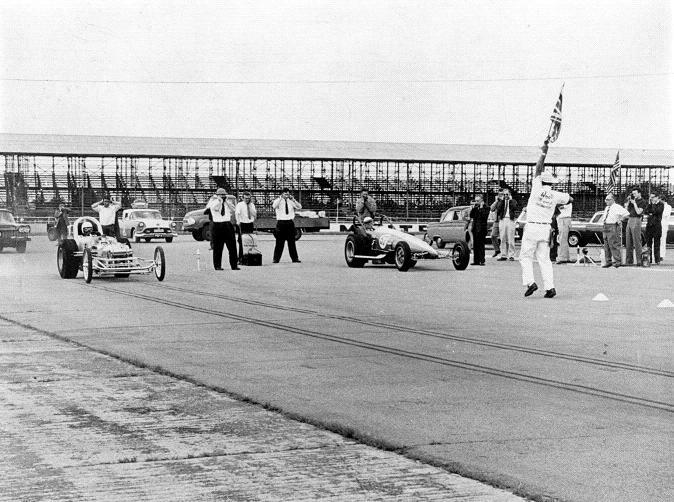 Allard and Duce first appeared together on the Club Straight at Silverstone on September 10th of that year. 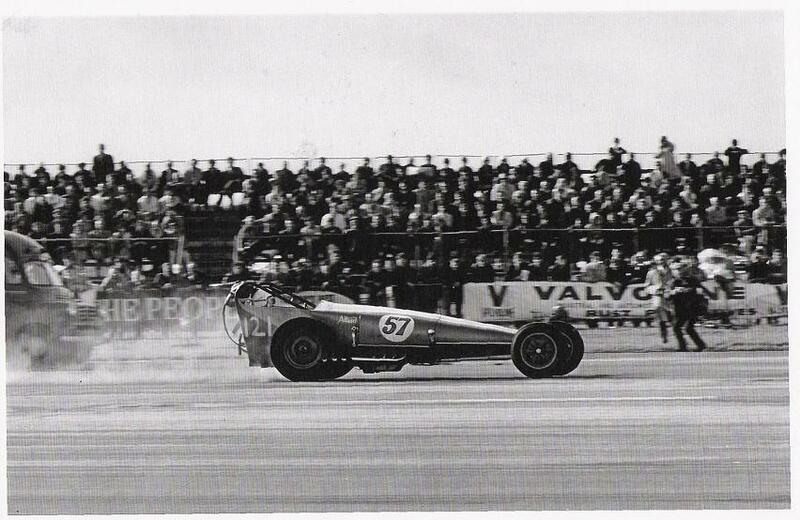 Then at the 58th Brighton Speed Trials, the second event of the Challenge, Sydney and Duce were joined by Mickey Thompson with his blown and injected V8 Ford powered nitro burner, the Harvey Aluminum Special. The dragster demonstrations were saved until the end of the day and the 30,000 crowd was shocked into disbelief. The next event in the Challenge series was held at RAF Church Lawford, followed by RAF Debden the next day. Even though it was not promoted as a spectator event around 5000 people blagged their way past astonished RAF Debden Police and lined the strip. Allard and Duce called their Challenge Series a draw and the SEMA Trophy was left with Sydney Allard’s name on it. The spectacles fired the imagination of hundreds of budding UK hot rodders and drag racers. Duce and Dean Moon returned to the USA very enthusiastic about the UK trip. 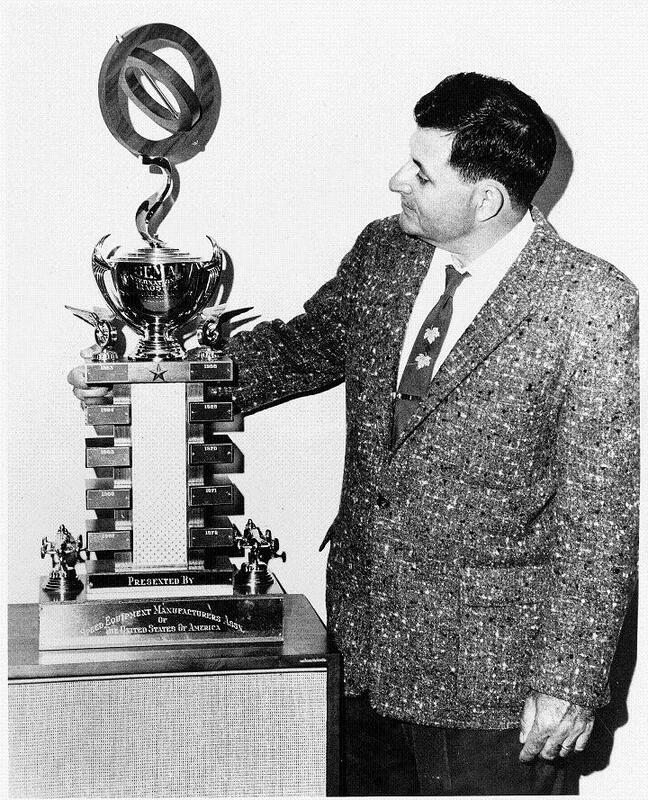 Moon offered to be a spokesman for the idea of getting a team of American racers across the following year and within a month Sydney Allard and Wally Parks of the National Hot Rod Association were in discussions. 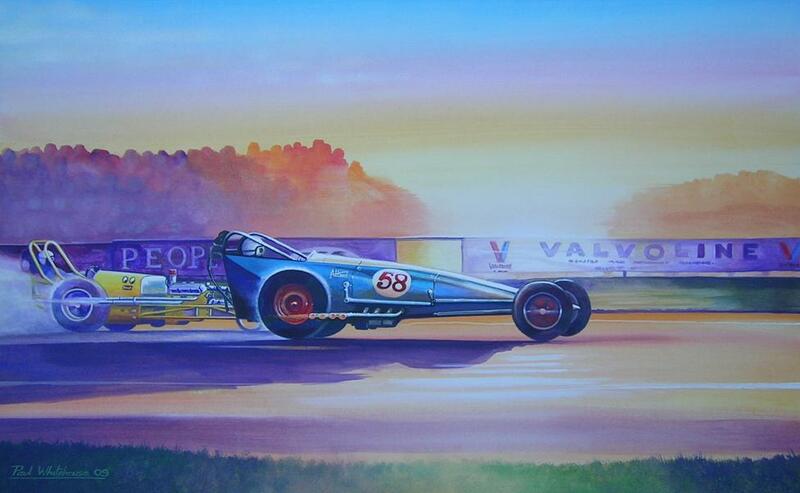 By this time it had become clear that the 1961 Allard Chrysler dragster was now well past it’s sell-by date. It had become obsolete with no chance of development to modern standards due to the RAC regulations in place when it was built. 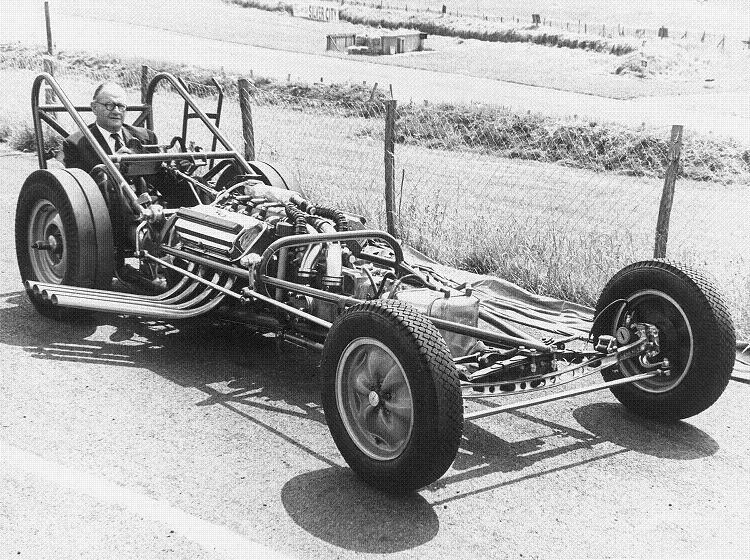 So they commenced building a new dragster, this time one designed solely for drag racing rather than a highbred for sprinting and they used the engine and front mounted blower from the original Allard Chrysler. Sydney Allard died in 1966. The old 1961 Allard Chrysler rolling chassis had been kept at the London workshops but after Sydney died it was moved around Southern England when his companies were split up, ending up in Alan Allard’s barn for many years. Alan handed it over to Allard Owners Club member Brian Golder in 1979 who carried out a part restoration of the rolling chassis and body before loaning it to the National Motor Museum, Beaulieu. After Brian’s death it was bequeathed to the museum. There it has remained on display for many years with most visitors not really recognizing its historic importance until recently. 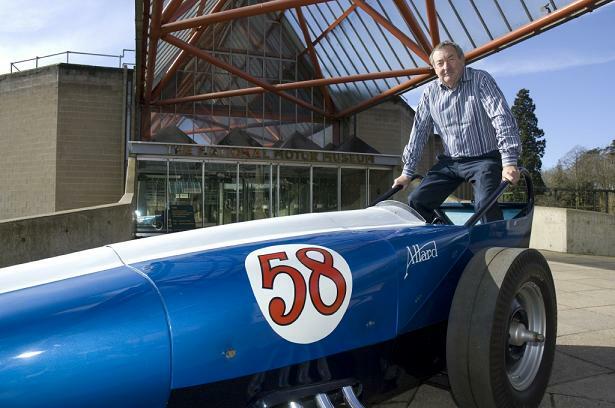 It was 2008 when the latest chapter of the Allard Chrysler dragster’s story was opened. During research for his book for Haynes Publishing called Crazy Horses – the history of British drag racing, author Brian Taylor became very aware of the excellent condition of the car and its importance in the sport’s history as Europe’s first dragster. He judged that it wouldn’t take too much work or funds to get it back into condition where it could be ‘cackled’ and paraded. 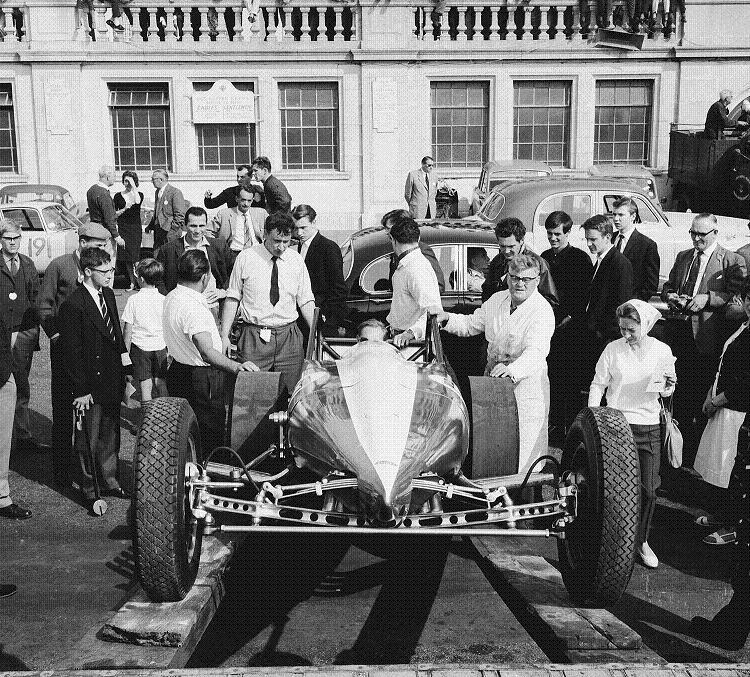 He contacted Lord Montagu of Beaulieu and after a series of meetings the Museum Trust gave the thumbs up, so Brian decided to form a group of enthusiasts who could start raising the funds and provide the expertise to take the project forward – hence the Allard Chrysler Action Group (ACAG). Brian acted as Chairman of the ACAG liaising with Doug Hill, Chief Engineer and Museum Manager. Pink Floyd drummer Nick Mason agreed to be the group’s patron. He is Chairman of the National Motor Museum, Beaulieu Trustees Advisory Council and a Trustee. The first job was to thoroughly inspect the car to see what was needed and establish some kind of budget and task list. Fortunately one of the group was David Hooper who designed the car for Sydney in 1960 so his input was invaluable. The band of supporters gradually grew and along with cash donations, the sales of items like special ACAG T-shirts, Polo shirts and limited edition prints helped swell the funds. By the end of 2009 they had raised enough money to place an order for a replacement 354 Chrysler Hemi V8. However, they don’t make 354 cubic inch Chrysler Hemi’s any more and it was obvious that the USA was the place to source the parts and the expertise. Getting American suppliers and fans on board was an important aspect of keeping costs under control – much easier to do with a direct American involvement in the project. ACAG American support was strengthened when Project 1320 Chairman Traci Hrudka agreed to be ACAG Co-Patron. Project 1320 is a Trust supported by the top names of American drag racing, formed to plot the history of drag racing in film. At the same time legendary drag racing personality Linda Vaughn became an Honorary Member of the ACAG. After some research the ACAG chose Michigan based engine builders and nostalgia specialists Booth-Arons. A complete and accurate replication was not possible due to some parts manufacturers not being around anymore and other original details missing from the available information. 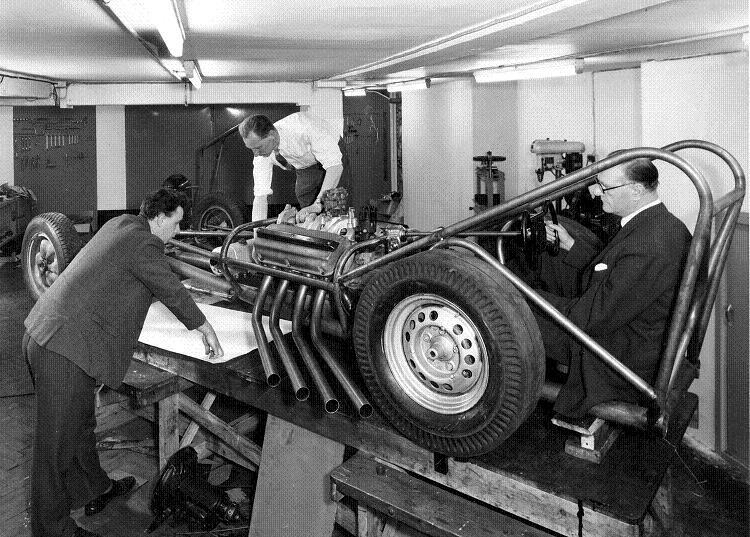 Booth-Arons recommended that the new engine be built to take high nitro loads (90%) for the best ‘cackling’ performance. This would also toughen up the engine, making it less likely to fail. But aesthetically it would be exactly the same as that built back in 1960/61. 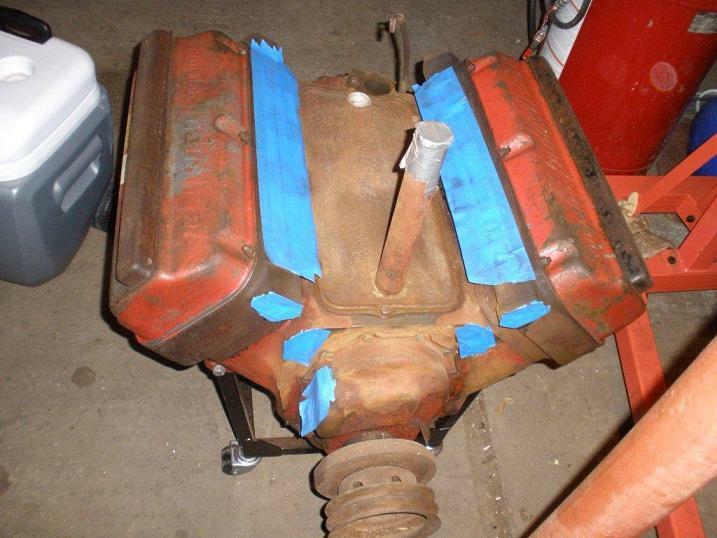 They located a 1956 354 Chrysler Hemi engine with original paint and decals on the valve covers – a truly unmolested and perfect starting point having originally been an industrial engine. This was completely disassembled and, thankfully, it was discovered that it had a standard bore and crank. The thick walls and webs on these older, untouched, blocks don’t require a torque plate. It was baked and blasted prior to honing. The head surfaces were then decked and made parallel so that everything was equaled out and the bore honed to a perfectly round 4.060 inches diameter with a 3.625 inch stroke taking it out to 375 cubic inches. This unshrouds the valves (normal practice for race engines) and facilitates a louder more fiery sound when the engine is fired up plus more flames from the exhaust headers – providing the right cam is used of course. 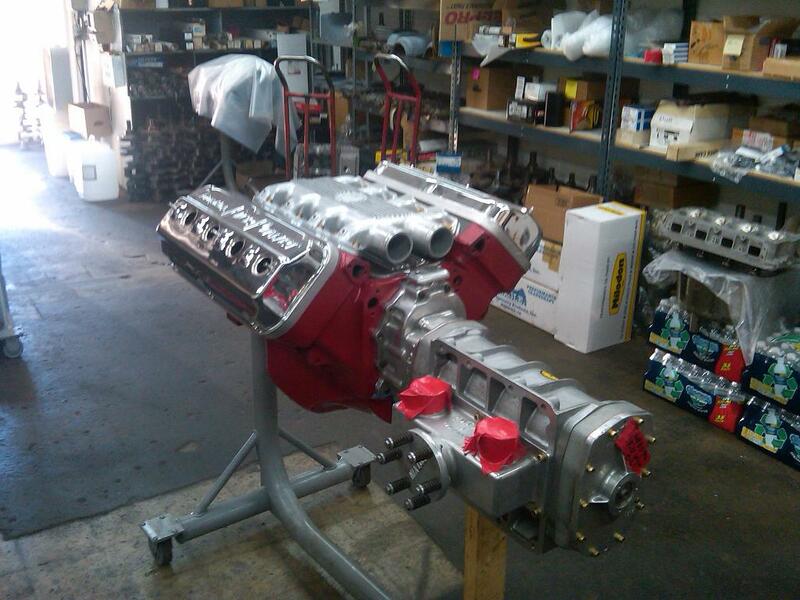 Taking it out to 375 cubic inches also enables the use of Big Block Chevrolet rods, pins and journals; often easier (and cheaper) to obtain than Chrysler. 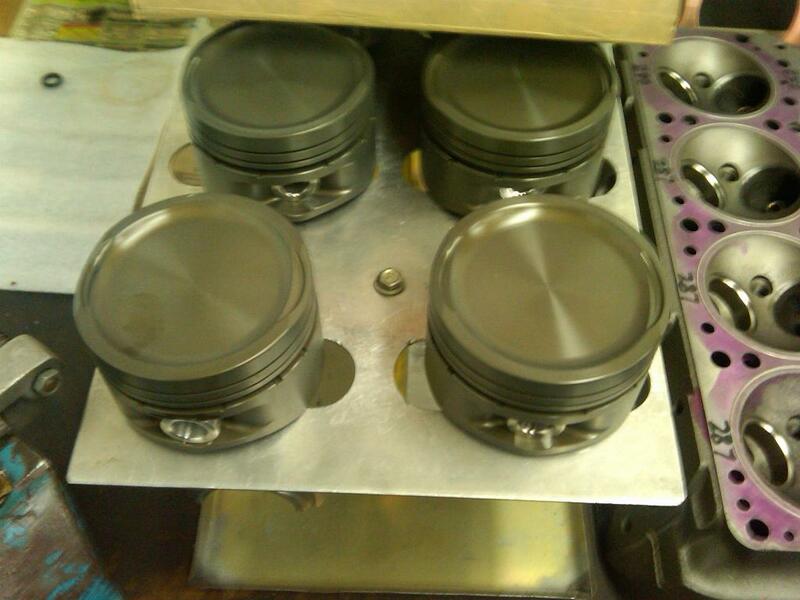 Racetec Pistons designed and donated the pistons – 10 billet slugs to provide spares. The main bearings are standard Chrysler Hemi size. Beaulieu had a blower, blower manifold and Potvin adapter, from a part-restoration carried out in the 1980s by Brian Golder. These were sent to Booth-Arons and the blower forwarded to Littlefield Blowers in California who re-tuned it for the front-mounted Potvin set up that characterises the car. Meanwhile, back at Booth-Arons, the bright work was tumbled and polished – including a rare set of valve covers that were sent to the chrome shop after some metal work had been carried out by Al Bergler. Because the engine was so pristine, with little run time, the crank was simply checked that it was straight, then polished and nitrided for surface hardening. Other parts were machined and made ready for assembly. Everything was weighed and balanced on an individual component basis before the piston/crankshaft assembly was balanced. Steve Sanchez of Total Flow Products, Michigan did all the headwork. New Manley valves, valve guides and seats were fitted. Trip Manley is Vice President of Manley Performance Products Inc, a company with a relationship with Booth Arons that goes back to Trip’s father Hank and engine builder Denny Hummel. When Trip heard about the Allard Chrysler dragster restoration he was keen to become involved. He said, “After talking about it with Denny we decided to utilize our very best “Severe Duty” stainless steel, 3/8” diameter, Pro-Flo design intake valve blanks and our “Extreme Duty”, 3/8” diameter exhaust valve blanks…..precisely machined for this 354 Hemi application. These are the exact same exhaust blanks we utilize for all of our Top Fuel and Funny Car competitors”. Crower donated custom-ground cams and springs. Trend Performance supplied the pushrods (and piston pins). 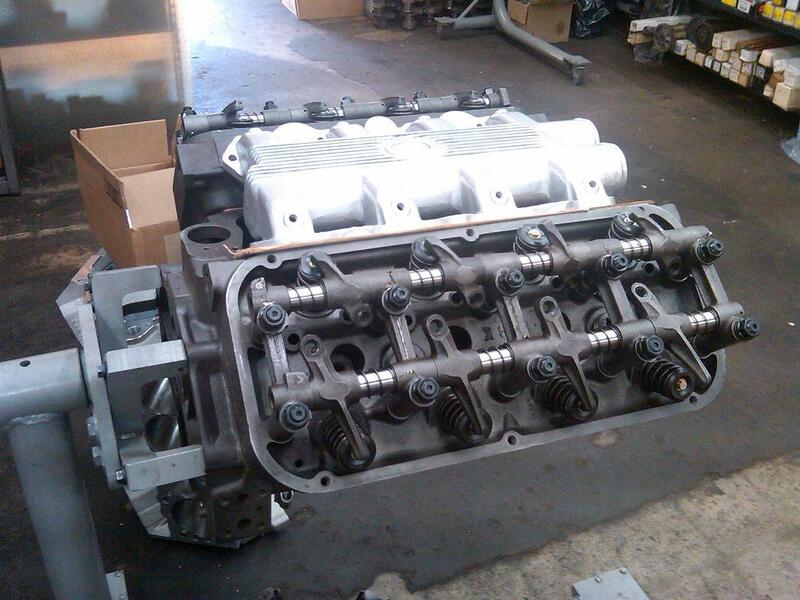 The block and heads were registered and receiver grooves machined when the heads were returned to Booth-Arons and assembly of the short-block commenced. “Hilborn Fuel Injection is pleased to acknowledge the importance of the Allard Chrysler dragster in UK drag racing history and is proud to celebrate its legacy through participation in its resurrection! 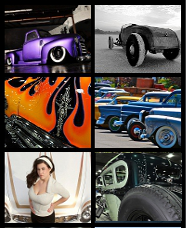 This restoration project will most certainly help to commemorate and perpetuate vintage drag racing heritage”. But prior to mounting the blower it was discovered that the crank snout had to be shortened before it could be mated with the blower adapter. And there have been other problems along the way such as the length of pushrods and the need for spacers between the heads and the blower adapter (both probably the result of decking the head). Availability of parts (difficult enough with an engine of this vintage) has gradually become more of an issue as the economic recession has forced suppliers to reduce their stock holdings. A Taylor Vertex Magneto was assembled in the USA – exactly the same as the Scintilla unit fitted to the original engine back in 1961. And at the time of going to press the engine was getting very close to final assembly ready for dyno-testing before dispatch to the UK in November. Stuart Bradbury of U S Automotive of Bedford has been handling the USA-UK logistics and technical liaison and they will organise the completed engine’s return to Beaulieu. Work can then start on finishing the restoration of the rolling chassis and components. 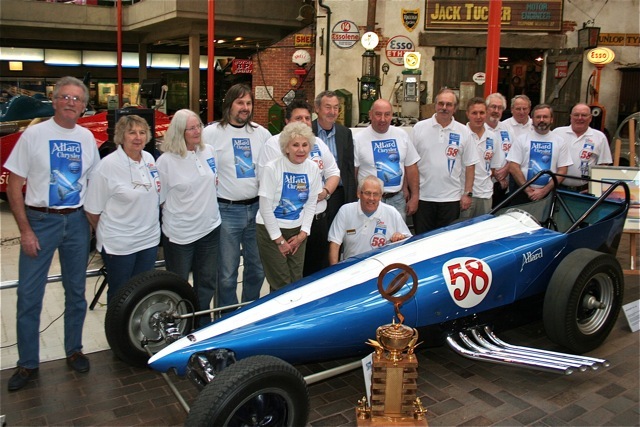 2011 marks the car’s 50th birthday and plans are being made for it to visit the USA. The Project 1320 team in the USA is working with the ACAG to achieve this with the possibility that the Mooneyes dragster will appear in the UK at the National Motor Museum, Beaulieu during the same period. At the beginning and end of the swap period there will be opportunities for these two iconic cars to appear side-by-side for the first time since 1963. The ACAG now has its own website www.allardchrysler.org and the dragster has its own Facebook Page. The group has been very disappointed with corporate response to the project and apart from insurance company Performance Direct, so far the ACAG has raised all the funding for the restoration themselves – with the welcomed product support from American suppliers. If you would like to help fund or sponsor this unique and exciting project, or purchase ACAG merchandise, then contact gro.relsyrhcdrallanull@nairb or visit the website. 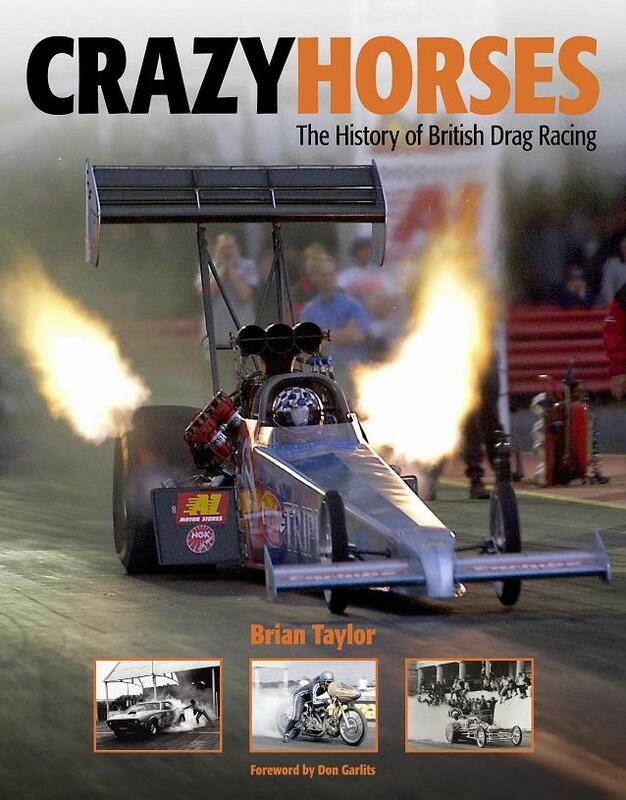 The full story of Sydney Allard and his Allard Chrysler is included in Brian’s book Crazy Horses – The History of British Drag Racing published by Haynes. A visit to www.amazon.com or www.amazon.co.uk will give you suppliers. Thanks but I can take 0 credit, this is all Brian “The Toolman” Taylor. haha Ok, so that’s probably not his nickname, but it is his story. I agree, a very cool piece of history. Great topic Chris, On a side note this weekend Chris Karamesines (mentioned at the begining of this story) qualified in Top Fuel at Las Vegas. He qualified 13th out of 26 entrants with an ET of 3.949 at 308.5 MPH. Normally not a big deal to qualify 13th but considering the “The Golden Greek” turns 79 years old this month I thought it was note worthy.